Love the metallic detailing on the heel of your sandal! I have always wondered how to rock a cargo vest such as yours...now I know. 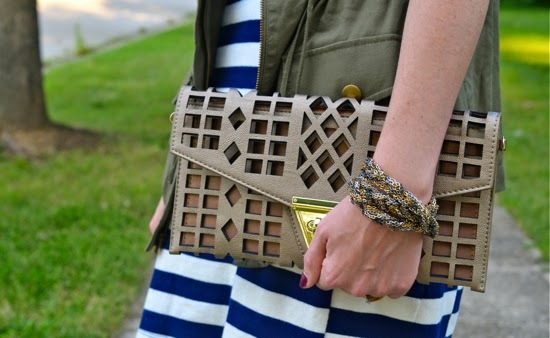 Fabulous idea to pair it with a striped dress. Love it. So well styled. 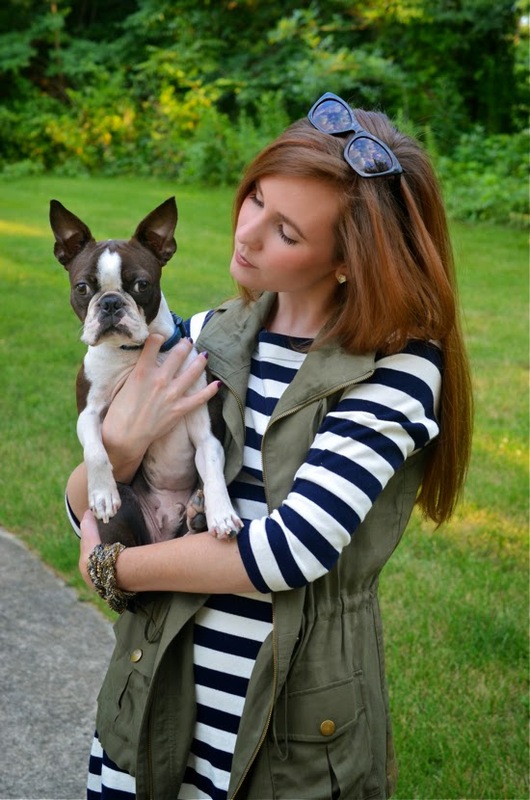 Stripes are so very big this season and your vest on top looks great. Your metallic clutch is stunning and a very glamorous addition to a casual outfit. 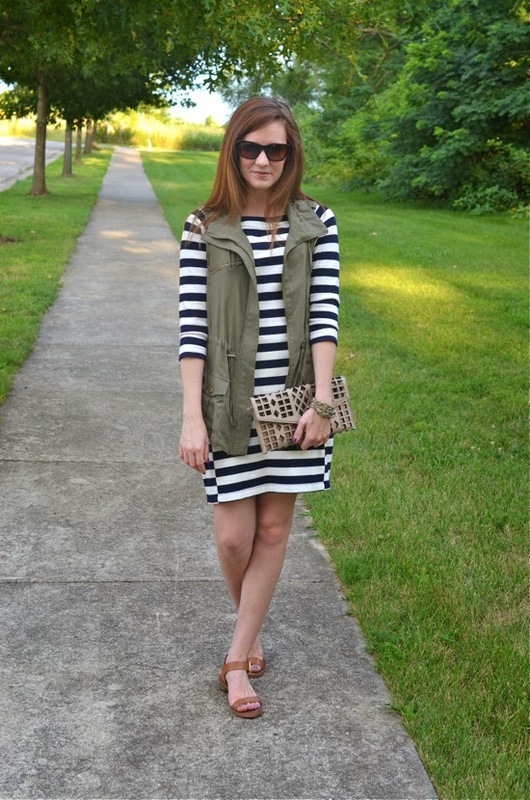 Love this military style vest paired with the dress! It looks great! I love this look! I think the military vest is perfect with it and I wouldn't have thought of that. 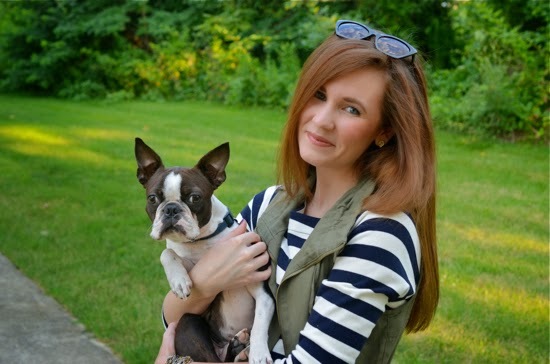 From one Boston Terrier owner to another- ugh, the cuteness. Mine is snoring next to me as I type. 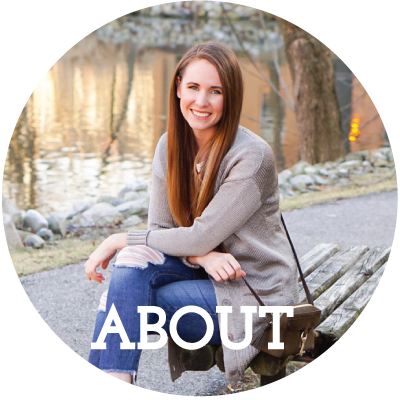 Thanks for linking up at Whatcha Wearing Wednesday! Found your link through The Fashion Canvas! 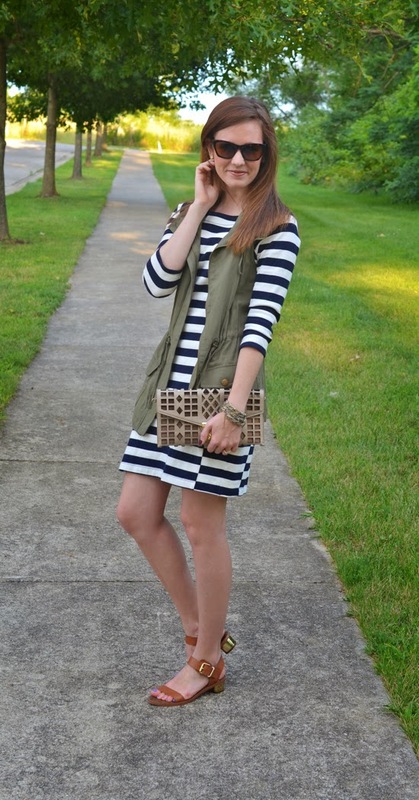 LOVE that dress with the vest! 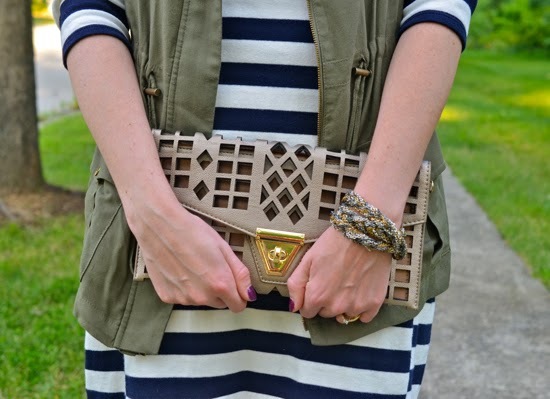 Love stripes with utility vests/jackets!!! I love this dress with the vest. I can't be able to wear this look but it's still a bit to warm here in Florida!